"A simpler branch network. A more engaging shopping experience." 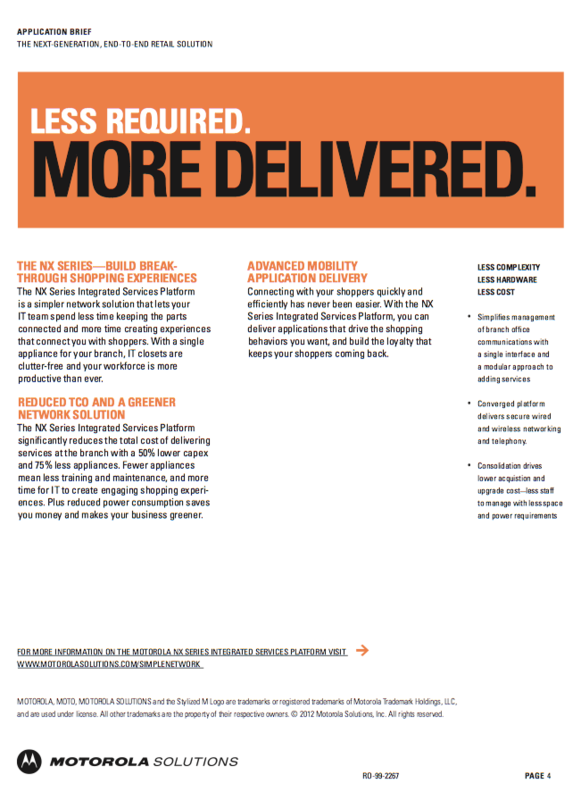 Motorola Solutions came out with two new products for business retailers and wanted to send application briefs to explain their benefits. However, IT solutions aren't always the most digestible information. We were able to break down the dense material and present it in a simple, benefits-oriented way, while using vibrant visuals and clean iconography to bring the most important information to the forefront.